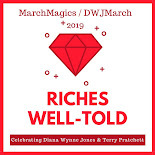 On my post about Discworldathon, Lory and I were going back and forth in the comments about which Pratchett books we could focus on for this year's March Magics event. She suggested the Death books as nobody else on the schedule had chosen them and then, all of a sudden, I had a super fun idea! I'll post the actual dates for each book around the middle of February. Also, I would love to have guest posters to share thoughts, come up with discussion questions, or whatever else you think would be fun to do with any of these books. If you're interested in being in charge of one or more of these books, let me know in the comments or send me an email. Sounds like fun! I must see what ones I have from this list! Fantastic! I actually need to get copies of the Death books because last time I borrowed them from the library. Truly inspired idea, love it! I might be interested to do something on Thief of Time, I just reread it and it's one of my favorite Discworld books. Yay! 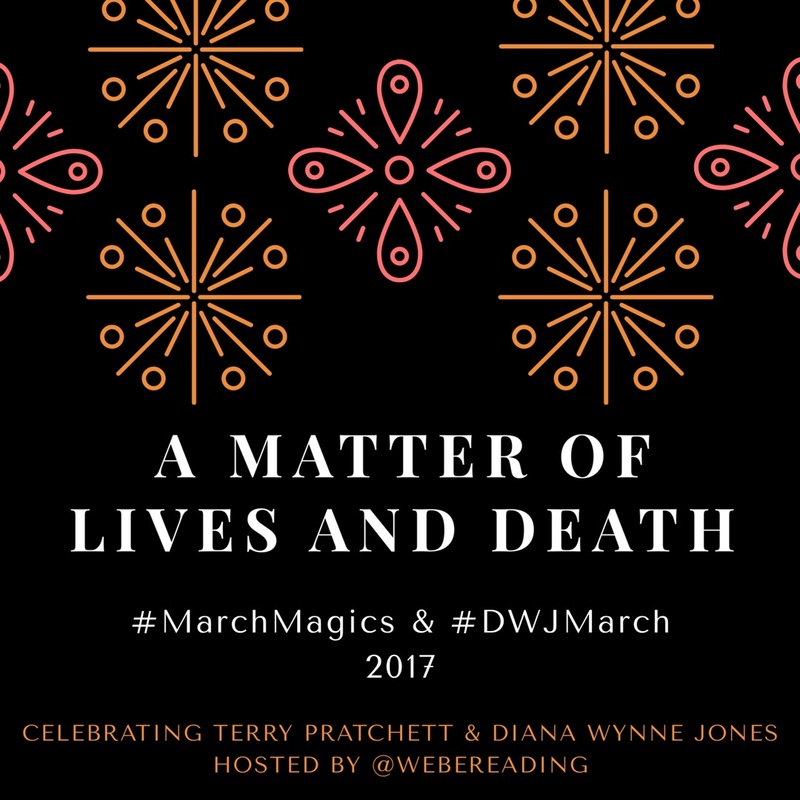 Are you skipping Witch Week and Magicians of Caprona because they don't have much Chrestomanci in them? I guess that makes sense. But I am reading Witch Week to my son right now and am reminded all over again how brilliant it is. And rather timely. Fantiastic! I love the theme and we'll have a great time. I knew it was a good idea when I couldn't wait to start reading all of the books. :) Glad you're joining me again! Exciting. :) My daughter and I recently finished a Chrestomanci binge, so they will all be fresh in my mind. 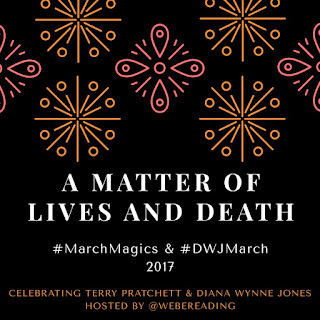 And even though (*whispers shamefully* I am not a Pratchett's fan - I just can't get into them despite trying), Death is my favourite of his characters, so maybe I will try to give him another go. Thanks for organising this. I can't wait! Death is definitely a great character! Absolutely! The image is for everyone to use. I'm so glad you'll be joining on the Death series. Only one of them is new to me but it's been so long on the others that I don't remember them well.